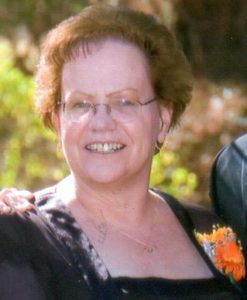 Lorie Kay Nelums, 58, of Bishop, California passed away on October 1, 2017 in the comfort of her home. Lorie was born in Ventura, California on December 24, 1958 to Monte and Cora Williams. In August of 1969, the Williams family moved to Bishop, California where they went onto to pursue a career in the grocery industry and eventually owned and operated the Joseph’s Bi-Rite Markets. Lorie attended Bishop Unified School District grades elementary through high school, where she graduated from Bishop Union High School in 1977. Lorie went onto attend college in Victorville from 1977-1979. In 1980, Lorie married her husband, Mike Nelums, where they went onto have their children, Jeffery Michael and Samantha Kay Nelums. Lorie is best remembered by her husband, Mike, as being the spark in his life, and as a caring mother who was very involved and dedicated in her children’s lives. The community has fond memories of her smiling and friendly face at Joseph’s Bi-Rite Market where she was employed for over thirty years. Lorie’s passion was her children; which led her into coaching her son’s hockey team, her daughter’s softball teams, as well as being involved in the 4-H club. Lorie’s hobbies included crocheting, reading, and her perpetual love for animals. She also loved her third child, Benny, her grandchildren: Sadie, Ebby, Zoe, Frankie, Festus, Molly, Avery, Jake, Cowboy, and Phoebe, whom all walk on four legs. Lorie is preceded in death by her father, Monte Williams. She is survived by her husband, Mike Nelums, her son and daughter in-law, Jeffrey Michael and Breanne Nelums, her daughter, Samantha Kay Nelums, her mother, Cora Anna Hanby-Williams, her siblings Marty Williams and wife Marcy, Larry Williams, Lisa Pitman and husband Dale, Mona Velasquez and husband Pedro, as well as numerous nieces, nephews and great nieces and nephew. Graveside service will be held at East Line Street Cemetery on Saturday, October 14, 2017 at 11 A.M., followed by a reception at the Bishop Country Club for those who would like to attend. In lieu of flowers, wear something green, as that was Lorie’s favorite color, or donate in memory of Lorie Kay Nelums to the American Diabetes Association. Beautiful women inside and out, love you mom!